There are several ways to watch Nipsey Hussle's Celebration of Life today. Last night, it was reported that BET would be live-streaming Nipsey Hussle's Celebration of Life, which is set to begin later today. The memorial service is set to take place at the Staples Center in Los Angeles with free tickets selling out in a matter of minutes after being released to the public. The service, which is set to begin at 1:00 PM EST or 10:00 AM PST, will be live-streamed on multiple outlets and we've decided to round them up here so that you don't miss anything once it starts. As you know, the event will be captured on video by BET, who have made their stream available to watch here. BET hosted Nipsey Hussle the last time he performed at the Staples Center, giving fans a memorable show at their BET Experience series. You will also be able to catch the Celebration of Life on Entertainment Tonight. The stream has already begun on their website with a gallery of photos being presented for their audience before the memorial begins. If you're subscribed to TIDAL, that will likely be the best place to catch Nipsey Hussle's Celebration of Life because it's streaming directly on the platform here. We have also included the stream below for your convenience. Nipsey Hussle passed away on March 31 and for the last couple of weeks, fans, friends and peers have been reacting to his passing with extreme sadness. According to Variety, the event will feature several performances. 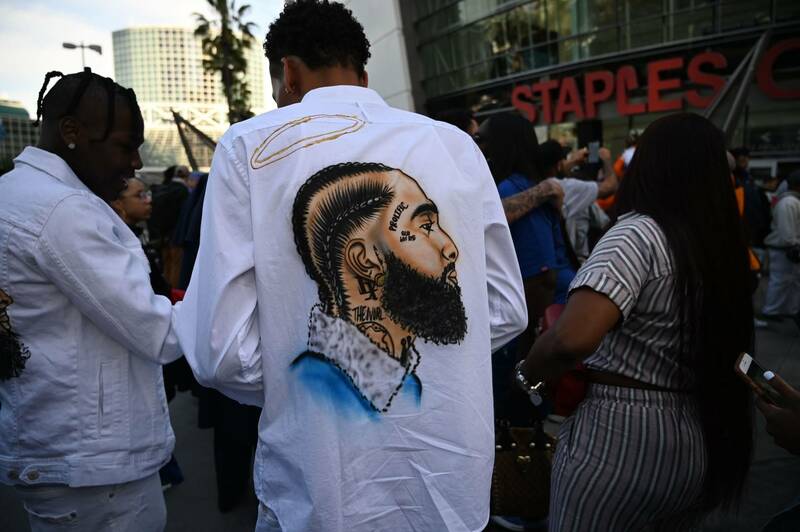 Once the memorial has finished, Nipsey's funeral procession will follow, which will travel over twenty-five miles through Los Angeles.